On 2 September 2008, in eastern Afghanistan, Trooper Mark Donaldson made a split-second decision that would change his life. His display of extraordinary courage saw him awarded the Victoria Cross for Australia, making him the first Australian to receive our highest award for bravery since 1969. Yet Mark's journey to those crucial moments was almost as exceptional as the acts that led to his VC. He was rebellious even before the death of his father in his mid-teens. A few years later, his mother disappeared, presumed murdered. Mark's lifestyle could have easily led him further down the path of self-destructiveness and petty crime. But he took a different road: the army. It proved to be his salvation. He found himself a natural soldier, progressing to the SAS, the peak of the Australian military. As if I am going to give a bad review to a book written by a Victoria Cross winner. I came across this man's VC in the Australian War Memorial, 6 months after I'd been to the Western Front I France in 2009. To donate your medal to such an institution, having earnt the award, and learning why he'd earnt it, is a credit to the guy. He's taken it to heart, managing to go back into battle, with the blessings of the higher- ups, just " going to work ", doing his job. This is an easy read generally! it provides an insight into what has previously been a completely closed organisation. It challenges the sensibilities both when it speaks of family dysfunction and conflict. But it is a point 0f view from inside. Whether you agree or not its a window to look through, as I doubt there would be many who would want to enter. 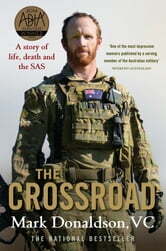 This book is one of the best books by a person in the australian army. The depth that goes into it is remarkable.